It’s a dangerous world out there in nature, so camouflage is a very useful strategy to adopt to avoid predation. 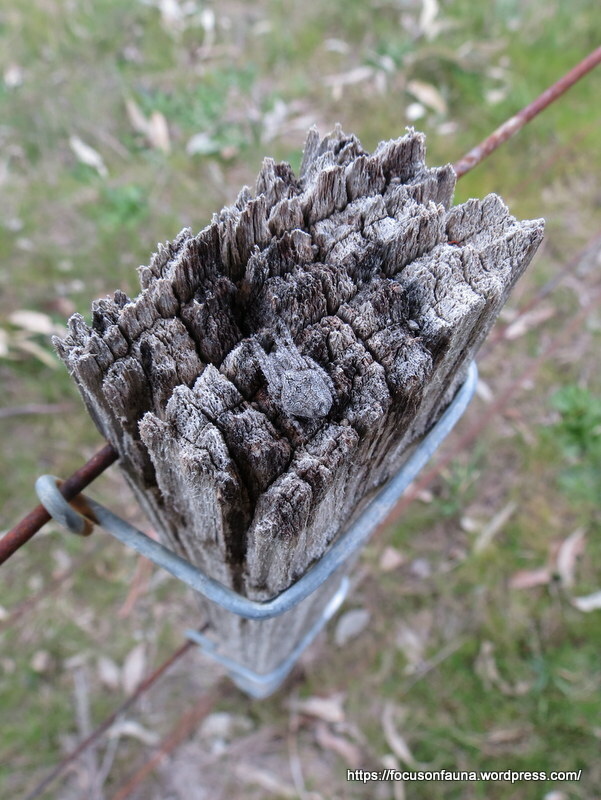 Last week we noticed, purely by chance, the spider pictured at left which was hunched up on a wooden fence dropper, some days on the top of the post and others on the side, but always well-camouflaged and hard to spot. It looks to us like a native Garden Orb-weaving Spider (Eriophora sp. ), identified by its roughly triangular abdomen with two humps near the front, its leaf-like pattern on its back and, on close inspection but not obvious in the photos, red on the base of its legs. Garden orb-weaving spiders build an intricate sticky new web each night, ready to catch insects which they sense by vibrations and quickly wrap in silk. 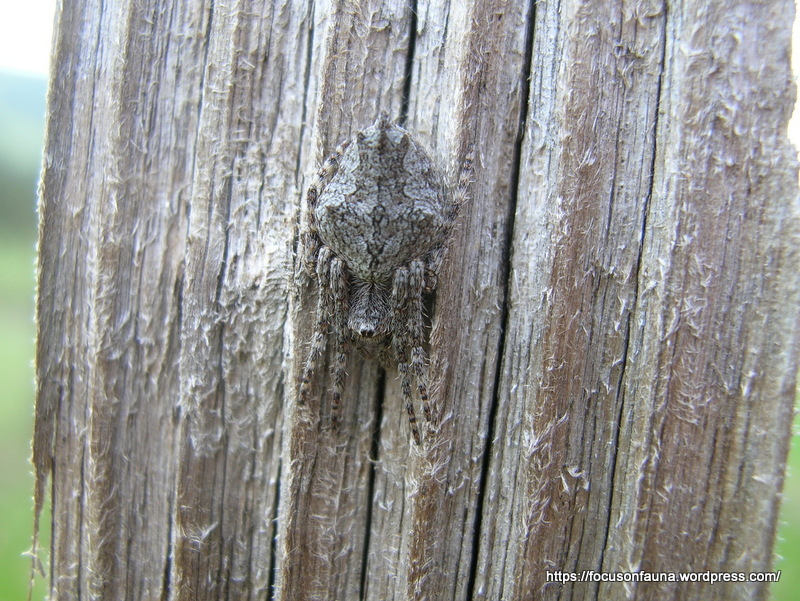 They dismantle their web at dawn and rest nearby during the day with legs drawn in, easily blending in with the surrounds like the one pictured here. For more information go to the Australian Museum website.